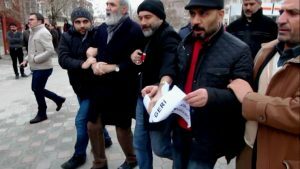 A group of Confederation of Public Workers’ Unions (KESK) members who were suspended under Turkey’s post-coup emergency rule, are fined TL 227 [$61] for each day of their protest to recover their jobs. 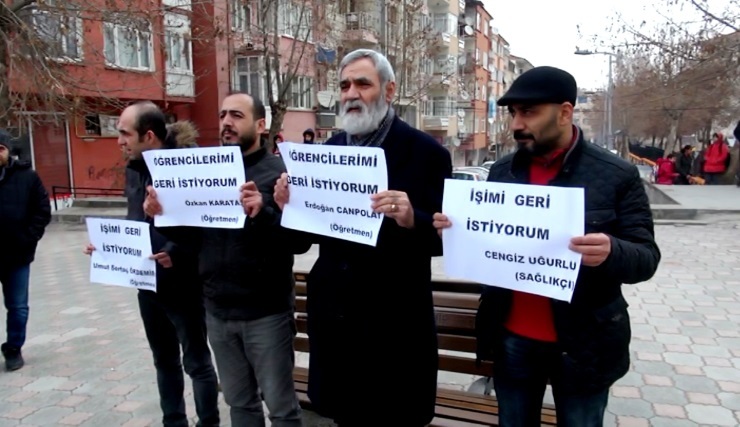 Four protestors have been gathering at Yüzüncüyıl intersection in Malatya province in order to protest their suspensions for the past seven straight days. A teacher of 30 years, Erdoğan Canpolat says he was suspended 2.5 months ago and that has been get no further notice for his situation. “They detain us every day and we get fined every day,” a former Malatya State Hospital employee told Turkish media. Turkey’s unprecedented witch-hunt has resulted in the imprisonment of 41,752 people as of Dec. 30, while 135,356 people have been removed from public sector jobs since July 15.